This stunning design emits happiness and brightness. 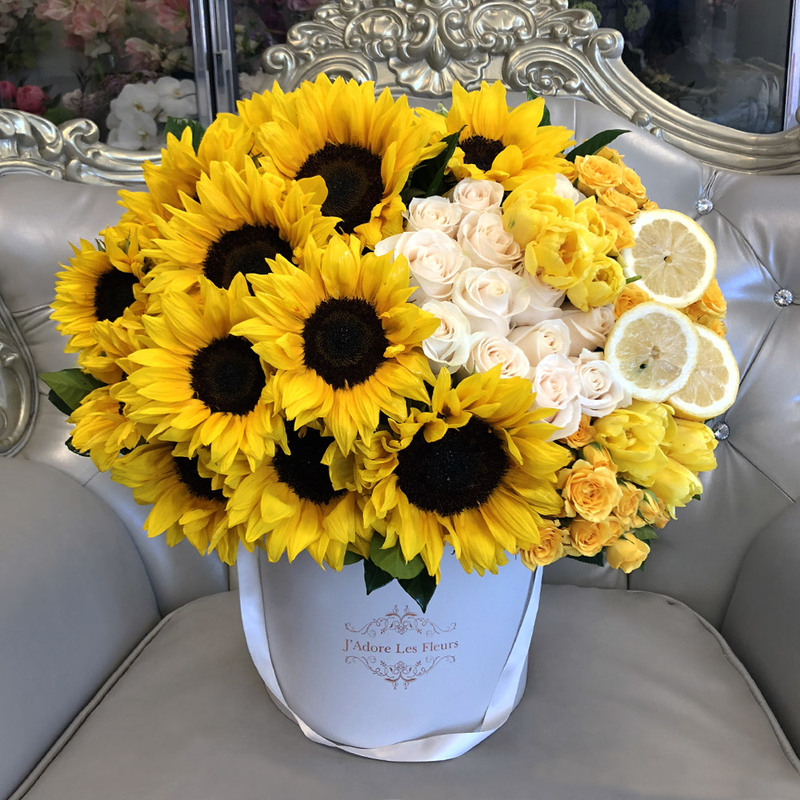 Sunflowers are gathered next to classic white roses, yellow tulips, yellow spray roses and fresh lemons. The arrangement in the photo is in a medium size box.